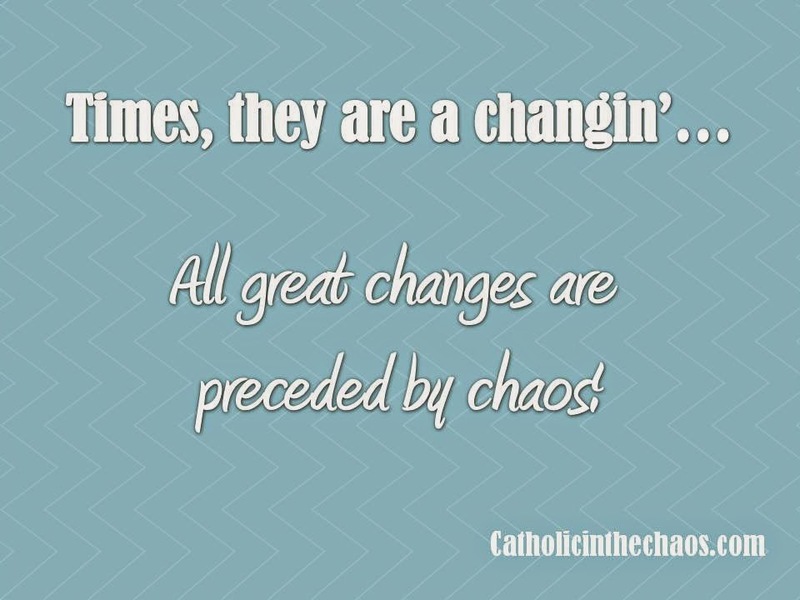 Welcome to my very first post on Catholic in the Chaos! Let's get down to business! I mentioned on my “About Me” page, my husband just retired from the military after a 20+ year career. For myself, I have only been part of the “revolving door of life” we call the army since marrying my husband, so for almost 10 years now. It’s strange to say this but you get used to a life of change and continuous moves. This is our 4th moved in 10 years! You get used to “temporary” homes, making new friends at every duty station, and learning how people live in different states or different parts of the world. But the idea of this change, this move, is a bit more daunting than any other we’ve had to deal with in the past as we have to ask ourselves questions we never had to answer before. Where do we want to move? Where would we like to make our “forever” home? (Forever is in quotes because really? We won’t ever move again? Not likely.) What type of job would my husband like to have? What types of jobs are actually available? And the biggest question of course: What can we actually afford? I’m not going to lie, it is exciting being able to be the ones to make these decisions for our own lives finally. But it is also very nerve-wracking. Trusting in the Lord’s plan for us sounds so beautiful, so tranquil. “Let go and let God” and all that jazz. It sounds wonderful and so freeing. But for this mama, who is TYPE A (with all caps) and a control freak, it’s MUCH easier said than done! I am a planner. I save up for a rainy day. My plan Bs have plan Bs! So not having a way to control this situation is MOST definitely an exercise in blind faith. It’s an exercise in endurance, perseverance, and strength. We must trust that the Lord has a plan for us, that He will provide for my ever growing family. We must trust that if we diligently listen to His voice, He will guide us and learn where He wants us to be. And so we take this leap of faith. We left our last duty station and returned to the east coast to visit family during this past holiday season. We have wonderful family members that allow a family of 4, and a little rambunctious dog, stay with them during this time of change. My husband is doing all he can to make this transition go smoother and faster for us while I pretty much spend most of my time taking care of my kids, nursing my 4 mos old (yes he still eats every 2 hrs during the day), laundry, cooking and cleaning (you know all the “mom stuff”). Although we have faith that the Lord has brought us to it and will bring us through it, my husband and I both have to remind ourselves to just take a deep breath and relax. I see how easy it can be to get caught up in the worry, to question whether we made the right choice, to concern ourselves with what is to come. Yet, we must remind ourselves that when requesting assistance from God, our prayers will be answered only in HIS TIME, not ours. No need to worry, no need to fret. No need to agonize and loose sleep when God already has the plan set in motion. So, instead of trying to control the situation, which I so desperately want to do, I am making the decision right here and right now, to live in the moment God is giving me with my children and my husband. I am choosing to have a grateful heart for my daily blessings, because our time together will be shortened by work and other obligations soon enough. I am going to enjoy and be grateful for the family who has so generously opened their doors to my brood, because our time together will not last forever and we will eventually have to move away from family once again. I am willing to try, no matter how often I falter, to live my life as a prayer and to listen in the silence (or as silent as a house can be with children) for the Lord’s call. Today's life lesson: have a grateful heart and live in the moment the Lord gives us regardless of whether the moment is pleasant or trying!